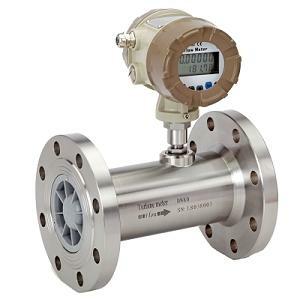 Maintenance of Gas Flow Meter - SILVER AUTOMATION INSTRUMENTS LTD.
(1) Disengage gas flow meter and pipeline. The gas flow meter is heavy, and the chain is hung over the pipe, and the hoisting belt is used to remove the connecting bolt. Separate the pipe flange with the crowbar, and gradually drop the chain and unload the flowmeter. (2) Remove the meter head . Put the flow meter in a safe position, loosen the fixed screw around the top of the top cover, and gently pry the side with the starter, turn the head and lift it, and protect the copper gear. (3) Remove the gear box, the magnetic coupling and the synchronous gear. Loosen the bolt around the side of the box, remove the box cover, protect the sealing ring, loosen the nut, the synchronous gear. Loosen the round nut, remove the stop washer, remove the oil baffle, and synchronize gear. Reverse the shell, remove the synchronous gear at the other end, and protect the magnetic coupling and copper gear. (4) Remove bearing and bearing seat. Loosen the bearing fastening screw with the fixed screw on one end of the shaft, and tap the end cover to separate the retaining ring, take out the bearing and pull out the bearing seat. Flip the flow meter cavity and remove the other end. (6)Take care of the maintenance of all parts when disassembling, and make sure that the installation marks are installed. (1)Clean and maintain gears. Because of long-term corrosion, the surface of the teeth is more, the cleaning and removal of foreign bodies should protect the shape of the teeth, and oil maintenance. (2)Clean and lubricate the bearing. Cleaning and removing rust makes the ball rotate flexibly, use grease for back-up, change when necessary, and remove rust and surface cleaning. (3) Clean conjugate rotor. Remove the rust of the rotor and brush the dirt to restore the roundness of the edges, and the rounded corners should be properly rounded to keep the cylinder in order. Clean up the end of the debris and keep the relative position between the rotors to improve the sealing. (4) Clean the surface of the cavity and internal stains, impurities and scale, and ensure that the rotor has no burrs and sundries. (5) Maintain the head copper gear reducer and magnetic seal coupling device Clean surface dirt to ensure that the head shows the normal operation of the wheel. (6) Other parts. Clean with kerosene, remove surface stains, restore performance or prepare substitutes.